Have a trip in mind but not the gear to do it? Check out our rentals! We just want to help get you outside. 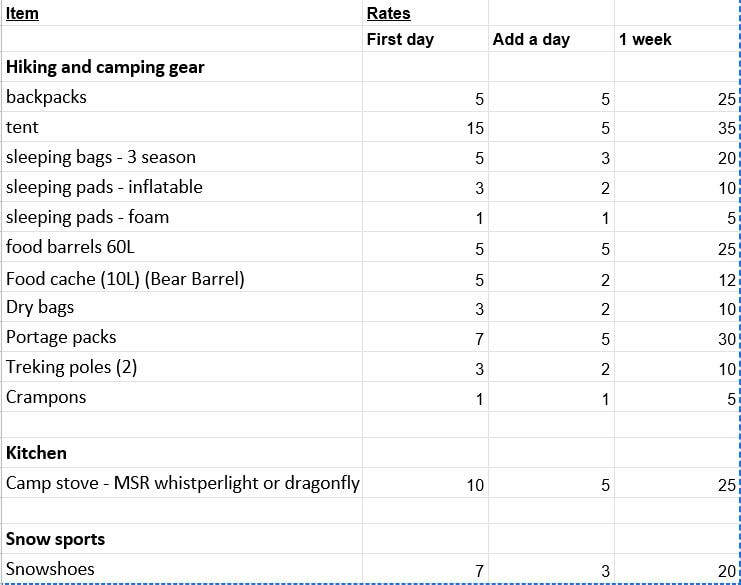 Please email 1 week in advance of you needing gear if possible. To ensure the quality of the gear we are sending out, it is always checked beforehand & again upon return. If it is found to be damaged, the renter is responsible for paying the entire price of the item broken. A case-by-case arrangement will be made for items that are repairable. We note your student ID upon rental in case of damage, and the charge of the rental can be levied against your student account.